The future of mobility is shared and autonomous. Our Autonomous Services team works at providing the functionality that enables an autonomous vehicle to efficient and user friendly. We work hard to shape the technology that is required to make our future customers happy and keep them safe, by solving complex problems outside of the car. At the moment we are searching for a few special people to join us on this exciting path. The Autonomous Services team at Daimler Mobility is at the forefront in creating the tools and services needed to provide customers with an unforgettable autonomous mobility experience. What we are building today will result in a journey that will take our customers wherever they need to go whether on a solo trip, shared ride or public transportation. Together with Daimlers autonomous and vehicle teams, our goal is not simply to get our customers from A to B but to get them there with the quality and safety they have come to expect from our brand. We are looking for Frontend Engineers (f/m/d) who are excited about this vision. Our team is constantly working towards building an environment that we all thrive in. We improve our culture by listening to each other and staying open to change. We believe our success as a team derives from mutual trust and honest discussions, which is why we value open communication. The diversity of our team is an important part of our inclusive culture and we want you to be a part of that. Daimler Mobility Services GmbH is a 100 % subsidiary of the Daimler Group, belonging to the division Daimler Financial Services. With over 1.000 highly motivated employees, we act as the interface between the individual mobility units and the Daimler group. As holding company, we also perform services such as accounting & tax, procurement and payment as well as governance tasks. Our daily work is characterized by agile methods with an open and modern working environment. We provide the freedom and space to foster new ideas and technologies that support our vision and future opportunity. Diversity is an important element of our culture with colleagues from all over the world and teams in Europe, North America and Asia. 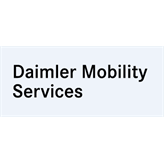 Want to get notified about new jobs at Daimler Mobility Services GmbH?